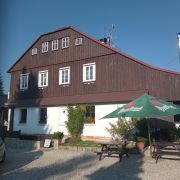 Accommodation in guest house in Bedrichov in Jizera mountains. 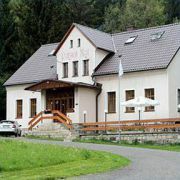 The pension has non-smoking restaurant with bowling … More » , baby corner, minigolf and wellness with pool and 3 saunas. 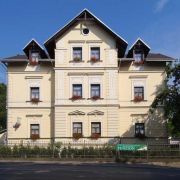 The guest house is ideal for families with children, corporate events, trainings and group relax and sporting events. 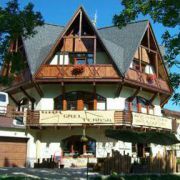 Family guest house Rebelka offers comfortable accommodation in the center of Vysoke nad Jizerou - Giant Mountains … More » , popular center of winter sports and summer tourism. It has capacity of 55 beds and is ideal for small and large groups, corporate events, celebrations, school trips and ski courses. 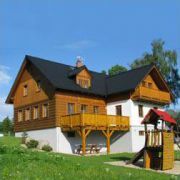 Accommodation in Bedrichov in renewed cottage 100m from the ski resort, near cross-country skiing tracks. Stylish equipped pension with own restaurant. Rooms have two beds and own bathroom, one apartment 2 bedrooms + … More » possibility of extra beds, free internet connection in rooms or Wi-Fi (own equipment - laptop, smartphone ...). Parking by the house. Pleasant outdoor seating. 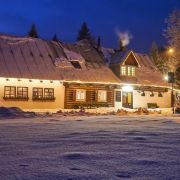 Our family pension is situated in Jizerske mountains at the end of village Janov nad Nisou – Maly Semerink (800m … More » from ski resort Severak – Hrabetice). Pension is situated under the wood about 50m from the main road. Village is situated in the protected area in the elevation 600m. 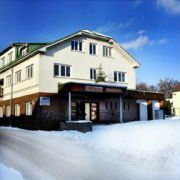 Our guest house is situated a few minutes from the Liberec centre and a few minutes from Aquapark Babylon. 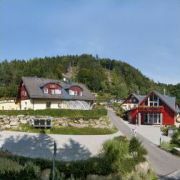 It offers … More » a stay in a town surrounded by the Ještěd range and Jizerské mountains. It is possible to use free the internet connection through our own WIFI net in all parts of our guest house. 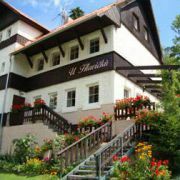 Boarding house, Albrechtice v J. H.
Place: Albrechtice v J. H.
The guesthouse at the foothill of Tanvaldsky Spicak in Albrechtice v Jizerskych horach, by the valley station of … More » 4-chairs lift. The guesthouse and all its rooms have been completely reconstructed. 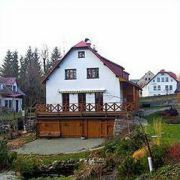 Pension in mountain village Nová Ves n.N., with beautiful neighbourhood, sportground and garden. New reconstructed … More » rooms with sanitary facility and TV/sat. Homely atmosphere, quality services. 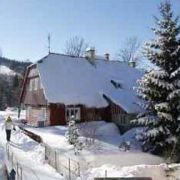 Pension is situated in the centre of Harrachov with view to ski-jumps and ski area which is cca 200m far. There … More » are information centre, change office, ski/snowboard/bike rental and ski school directly in building. 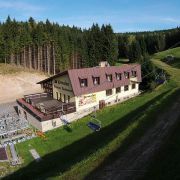 New luxury cottage is situated at the edge of Jizera and Giant mountains and offer accommodation for all year around … More » . We offer rooms with 3-5 beds with own bathrooms, TV, SAT, large common room, dinning table, fully equipped kitchen, fireplace, TV and SAT, ping pong, darts, garages. 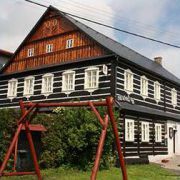 Family pension is situated in the centre of Harrachov, 60m from the ski resort, children playground is near, shopping … More » , restaurants in the surrounding. 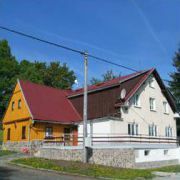 We offer accommodation in a **** guest house, after a complete reconstruction. Newly opened children garden with … More » carousel, children houses, slides, etc. Accommodation in two, three and four bedded rooms with private bathroom, toilet, TV/SAT, WIFI kostenlos.